As a must-have reference for busy teachers with little special education training, this book supplies classroom-tested instructional strategies that address the characteristics of and challenges faced by students with special needs. Dozens of differentiated strategies target teachers' anxieties and provide responsive interventions that can be used to address specifics of IEPs and learning plans. 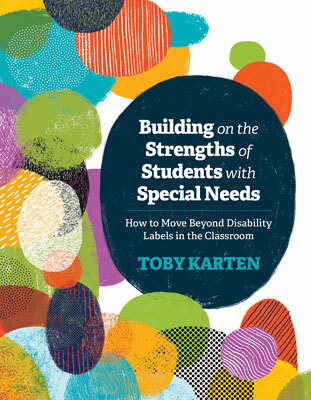 With Building on the Strengths of Students with Special Needs, special education expert Toby Karten focuses on specific disabilities and inclusive curriculum scenarios for learners in K–12 environments. She offers valuable advice on how to prevent labels from capping student potential and encouragement to help teachers continually improve learner outcomes. Typical instruction needs to match the diversity of atypical learners without viewing any disability as a barrier that impedes student achievement. Teachers must not only learn how to differentiate their approach and target specific student strengths but also maintain a positive attitude and belief that all students are capable of achieving self-efficacy. Toby Karten—a staff developer, instructional coach, educational consultant, author, adjunct professor, and inclusion specialist—has taught populations of learners at levels ranging from preschool to graduate school.